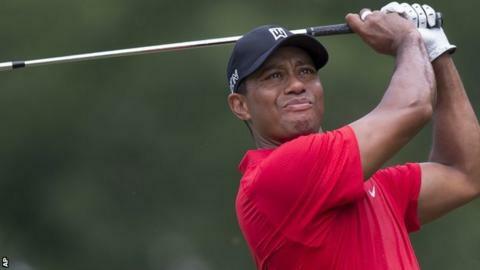 Former world number one Tiger Woods will not play again this year after having back surgery for the second time in 18 months. The 39-year-old American, winner of 14 majors, had an operation on Wednesday and is hoping to return to playing in early 2016. "This is certainly disappointing, but I'm a fighter," Woods said in a statement on his website. "I've been told I can make a full recovery, and I have no doubt I will." Woods, who has had a small disc fragment pinching his nerve removed, will miss the Frys.com Open, Bridgestone America's Golf Cup and the Hero World Challenge. He missed the cut at three of the four majors this year, although he tied for 10th in his most recent tournament, the Wyndham Championship. Ranked 283 in the world, Woods has not won a major since the 2008 US Open and has struggled with form and injury in recent years. He missed three months of last season after surgery on a pinched nerve in his back in March 2014. The statement added that Woods had felt "some occasional discomfort in the back and hip area in the last several weeks". "I appreciate the fans' concern and support," he said. "This is unfortunate, but these things happen. "I've been injured before and played again. It won't be any different this time."